We all want to remember those sweet, tender, and special moments when our babies are born. It’s a time like no other. It’s funny to me that I always look back on those hospital days with fond, happy memories even though the reality of it is that I was mostly uncomfortable and sore. hah! But none the less, I want to have photos to capture it. 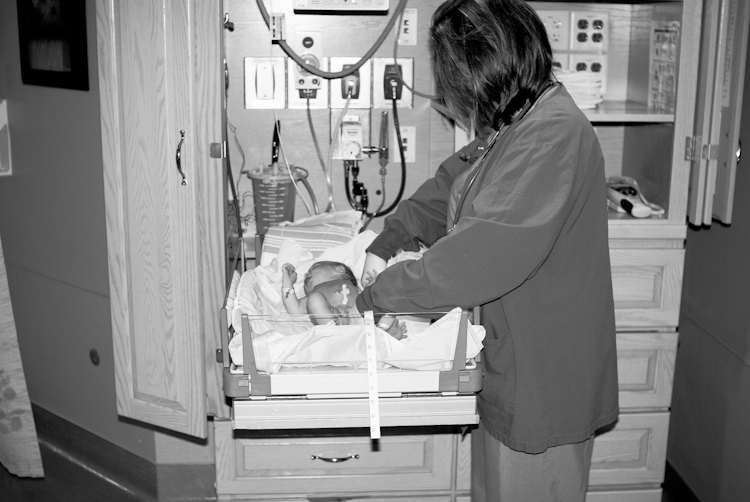 Before I had Lily, I was able to visit my friend, Dana, in the hospital right after she had Clara. During my visit, I snapped some photos of her and the baby so she could always have them to remember. 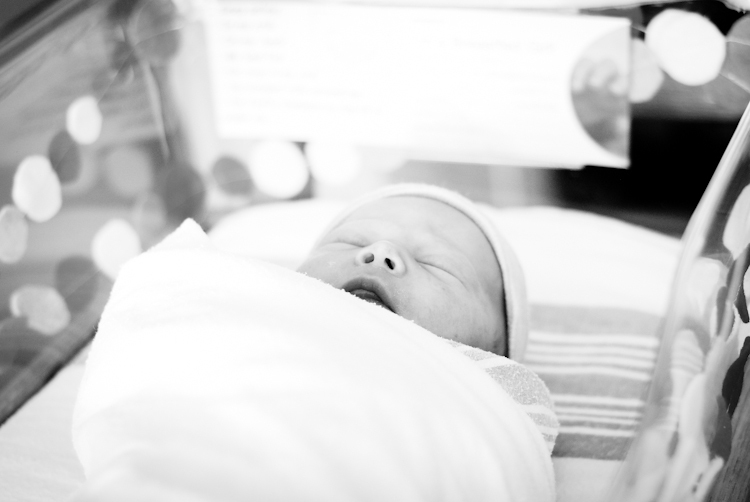 I wrote a post giving 5 Tips on how to take beautiful newborn hospital pictures. I’ve gotten a lot of feedback and I’m happy to say that it’s helped a lot of people. Well, now that I was actually the one in the hospital this time I have a little different perspective on taking newborn hospital pictures. Everything from the first post stands true but this time I have some extra tips when it comes to taking the photos when YOU are the Mom. Yes, YOU are the photographer but let’s face it, the last thing you want to do right after the baby is born is whip out your camera, adjust the settings and take your own pictures. You’re a little preoccupied at the moment focusing on the baby that has just been laid in your arms. So before all the craziness begins, discuss with your husband what pictures you would like him to capture. For example; you holding the baby, the clock as soon as the baby is born, the baby being cleaned off and weighed, etc. I also didn’t mess with making my husband take the photo’s in manual mode. (For the record, he is perfectly capable, I was just trying to make things as easy as possible!) I had him set it to “auto” (gasp, I know) and shoot away. This meant the pop-up flash was used so to make the pictures look a bit more pleasing I converted them to black and white. They got to help give Lily her first bath! They were thrilled and thought it was so special. I didn’t get to see this part so it was extra cool that my husband was able to document it for me. 2| Have your camera within arms reach at all times. For me, I find that I’m in too much pain and it simply takes too much energy to get something if it’s not within arms reach of the hospital bed. So… that is why I made sure my camera was always on my bedside table waiting for me if I saw a picture perfect moment. Because it was always near, I was able to take a lot more pictures that I can treasure. Include what the view looked like out your window. It helps you to remember the details. 3| When you feel good enough, push the baby’s bed near a window and snap away. 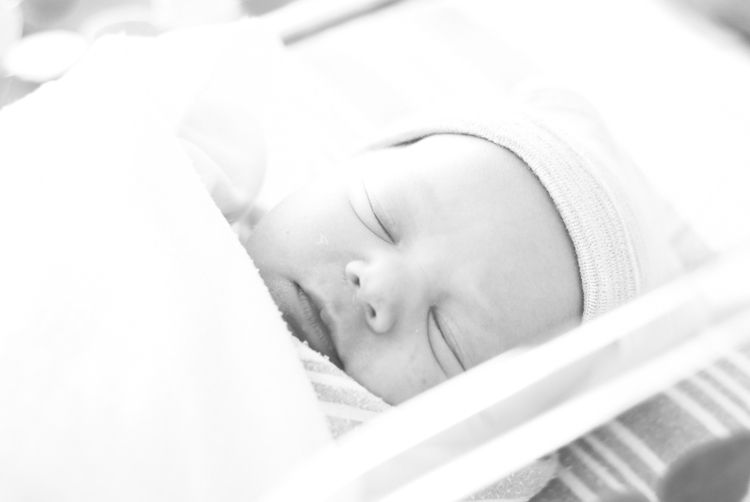 This is when you can also rely on my other 5 tips for taking beautiful newborn hospital photos. I love to take pictures using those iconic hospital issued items like the blankets with the blue and pink stripe and the little knit blue and pink striped caps. My friend, Dana, made me this cute felt garland to decorate her bed. Want to make one too? Check out her tutorial. 4| Relax and don’t fret if things are not perfect. I totally get it…you have a specific photo in mind that you just have to capture. I’m surely not trying to stifle anyone’s creativity, however…if things are just not turning out how you have them pictured, just go with it and move forward. Sometimes our “mistakes” turn into something wonderful that we wouldn’t have thought of otherwise. It’s not worth making yourself frustrated. Take a deep breath and do the best you can do and move on. 5| Be sure to capture all the details…including yourself. Capturing the details, like what the room looked like and what we did in to pass the time, is easy for me. What can be a challenge for me is getting my own picture taken! I tend to be too critical of myself…especially with all the extra pregnancy weight. So when it comes to documenting me in the photos, I’m not much of a fan. However, I do know the importance of capturing photos of yourself, especially taken with your kids, so that you and your family can always remember that time of your lives. 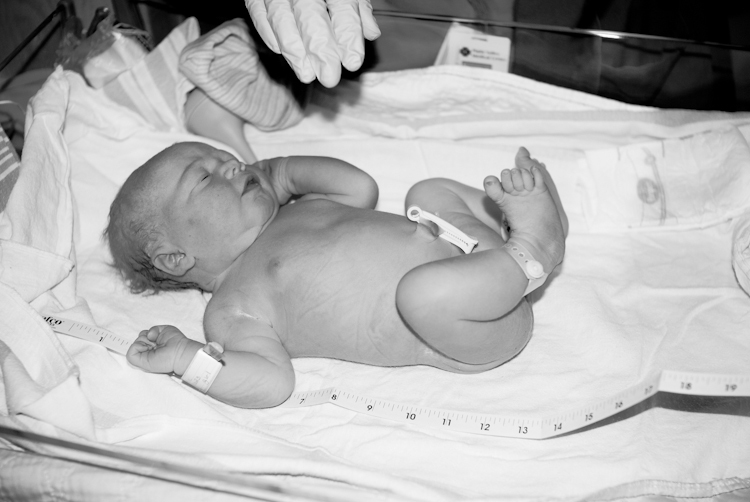 And there you have it…beautiful newborn photos in the hospital. Easy as that. Above all, relax and have fun! I know that when you are in the thick of trying to capture the perfect photo it can get stressful or even frustrating. But I assure you, as you stop, take a deep breath and just relax into it, you will find success. Want a game-changing check-list that will get up and shooting in the fastest way possible? If you subscribe below, I’ll instantly send you The Photographers Quick Guide to Shooting. This is the perfect guide for you to reference back to when you are out and about with your camera. Print it out to a 5×7 to easily fit in your camera bag. It lists 6 quick and easy steps to begin shooting along with pictures referencing Aperture, ISO, and Shutter Speed. You no longer have to miss precious shots while you’re busy trying to remember what to do first. Jot your email below, and I’ll send you photography tips like this one and send you the Quick Guide to Shooting immediately.